Blogging has helped me with a lot of things be it finding beautiful, unseen places around me or experimenting with looks that I never tried or even thought of trying before, it connected me with people whose words of motivation made me push my boundaries with each passing day & these are the reasons why the failure I encounter doesn't matter, because with the love that I get makes me the person that I am today! Earlier I used to play very safe while making purchases of my clothes. While I made sure that they are stylish, trying on different silhouettes was not my cup of tea! But one thing that hasn't changed till date is that I still buy things which makes me feel comfortable and lets me be me. I will not wear a saree with sneakers or pair socks with stilettos just for the sake of being a fashion blogger. My aim of styling outfits has always been with the thought that my readers are able to sport something similar without a hitch! Off lately, I have been experimenting a lot with Indian outfits be it with asymmetrical cuts, fusion bottom wear or unusual styles! Amongst the endless options of bottom wear, straight pants have been around since quite some time and trust me, they are here to stay! 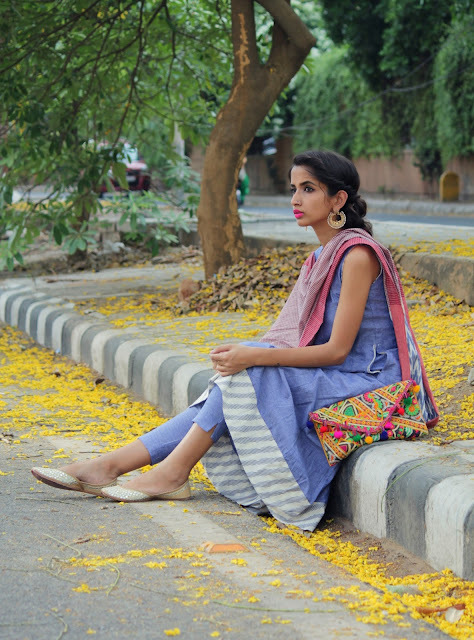 In the past whenever I have paired a kurta it has either been with leggings, wide-legged pants or a skirt, but when I saw this pairing of an anarkali with ankle length pants, I had to give it a shot. For those lost in the nomenclature web, the idea of wearing a gingham print stole will make you think of it as a gamchha or a table cloth! But this retro style can definitely add a dash of glamour if paired right. Like here with a blend of ikat & gingham. 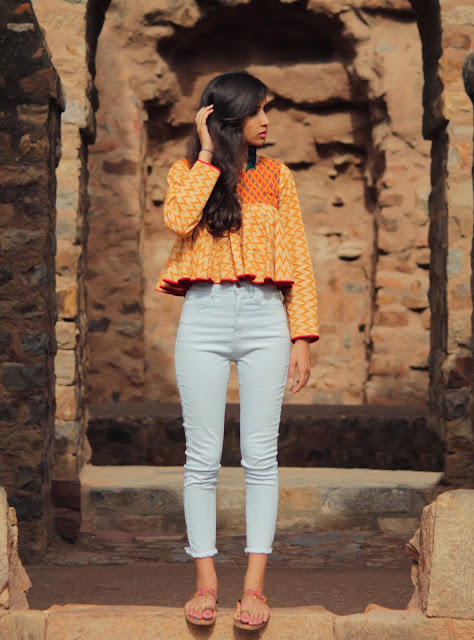 Every time I go through my old posts I realise that despite being an Indian Blogger the number of outfit posts featuring ethnic or fusion wear are way less than the western looks! 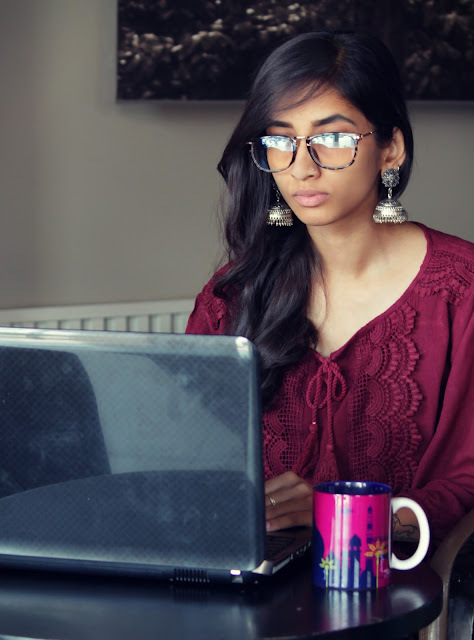 Considering that a lot of my readers, and for a fact me too, prefer outfits with an amalgamated taste of both traditional and modern, I have decided to up the number of Ethnic Wear blog posts, but with my own spin to it. I always like blending the Indian aesthetic with the international when it comes to dressing up in a traditional outfit. 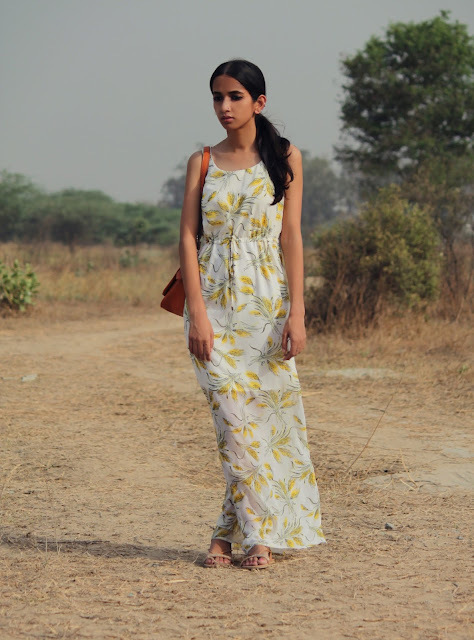 For instance, while deciding this look I was adamant of picking an Anarkali but with a contemporary touch to it. So the whole combination of gota patti work, high neck detailing & the flare fit the bill. Being someone who slogs six days a week, & doing the same monotonous work, I consider Sunday as a 'self love day'! From waking up with a relaxed mind & a smile on my face to spending ample time with my family. I don't even mind getting up earlier than the usual week days for the blog shoots because that is something that I enjoy and love to do. Once I am done with getting clicked, I start working on the writing part, but not without a mug of coffee. Being a coffee addict that I am, I keep on adding unique & vibrant coffee mugs to my collection. The latest addition to my coffee mugs family is this beautifully crafted piece from India Circus (Shop here). If you all know me well, you must be aware of the fact that how much I love purchasing jewellery, and not just purchasing I also make sure they are beautifully stored. So when recently my mum gifted me this enchanting Swan Print Box to store my everyday earrings, I was left ecstatic.